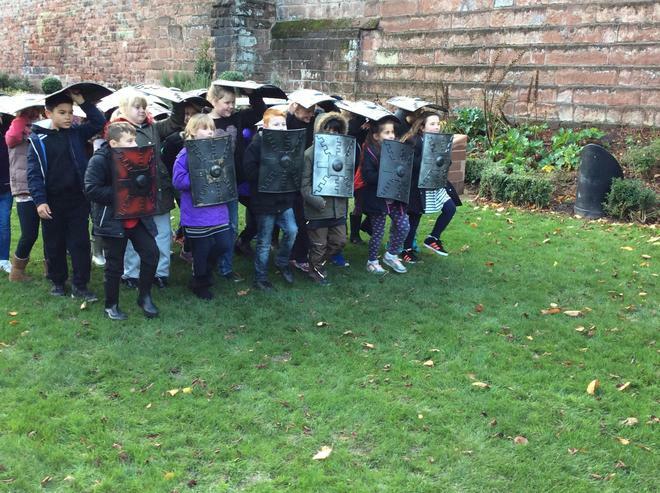 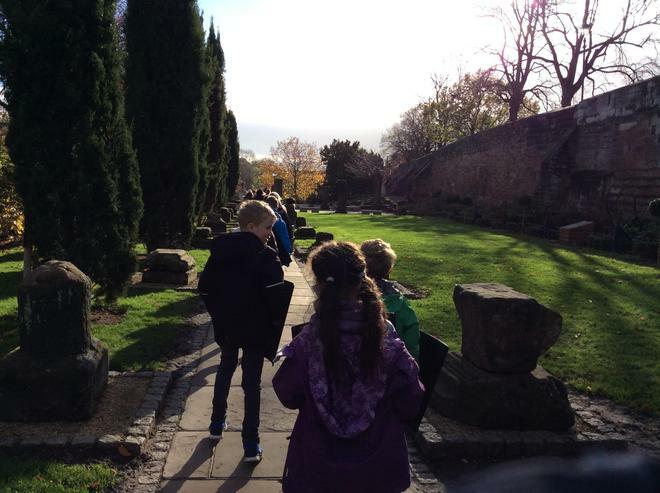 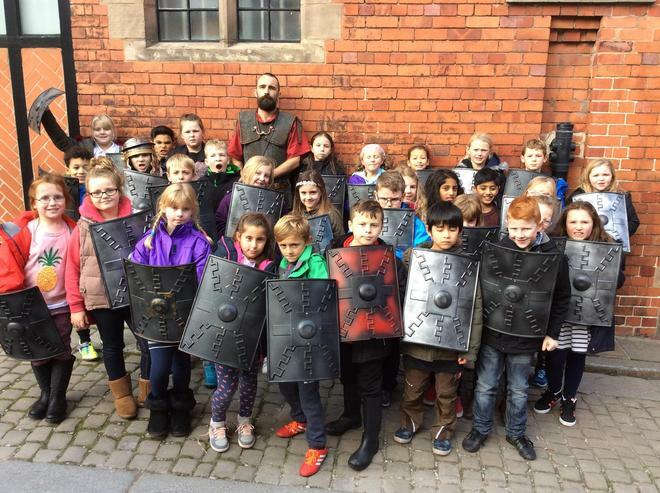 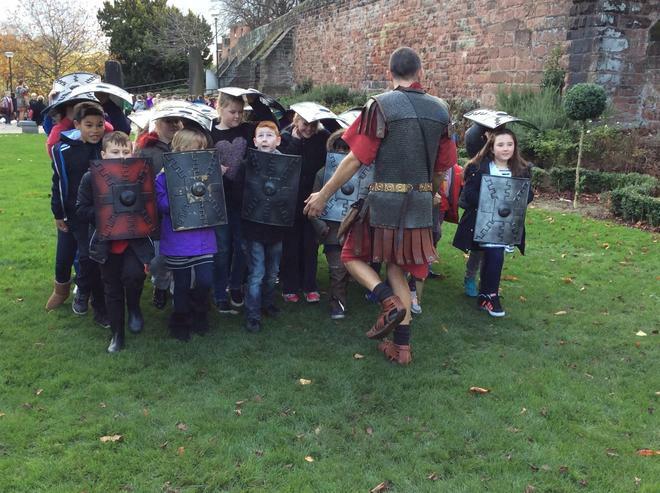 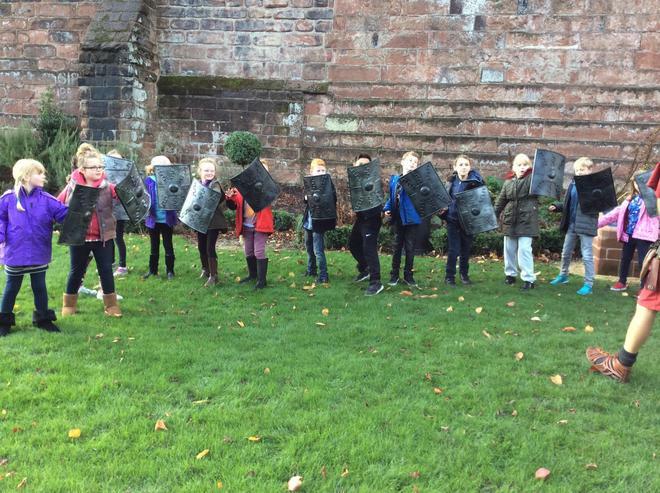 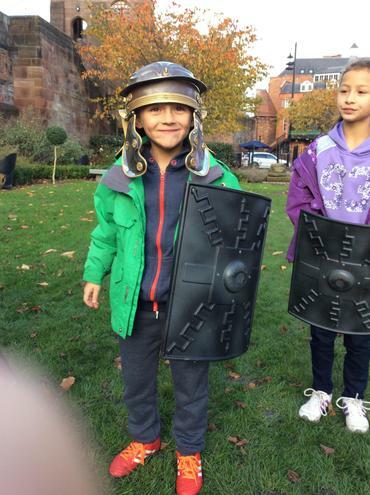 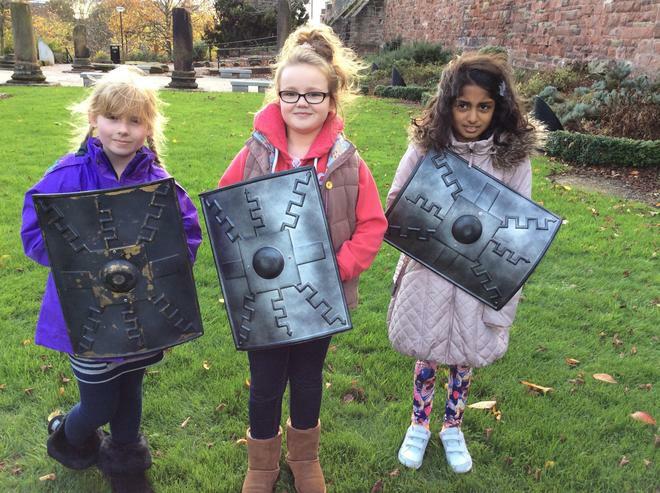 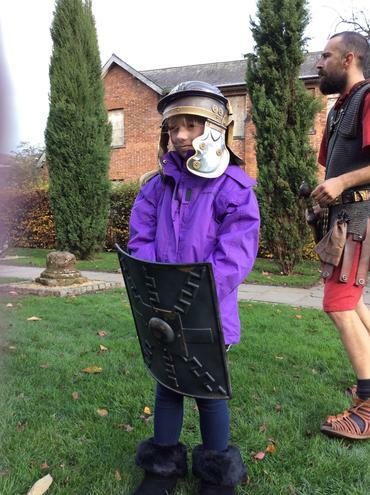 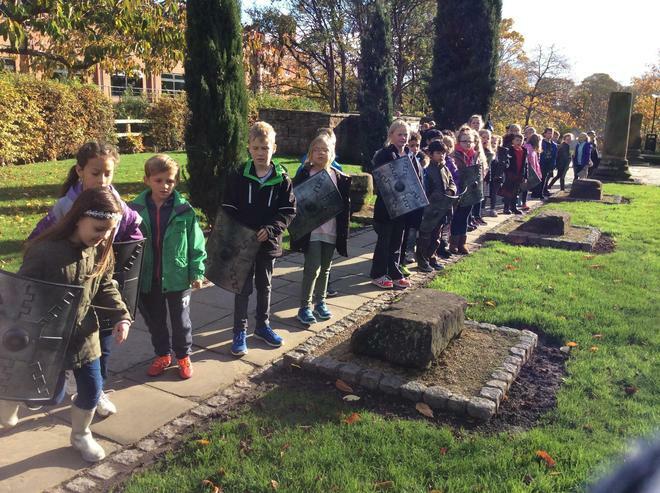 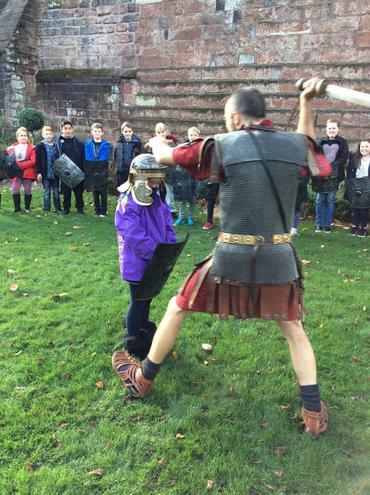 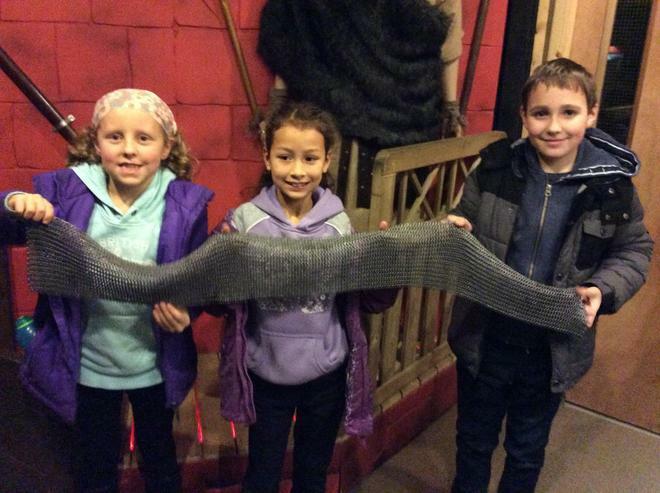 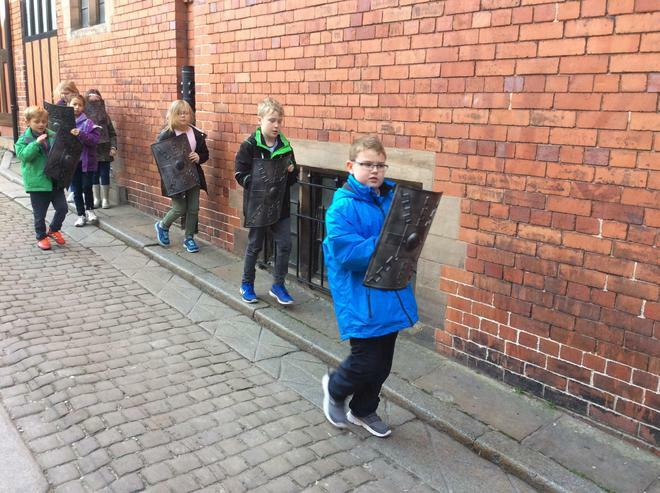 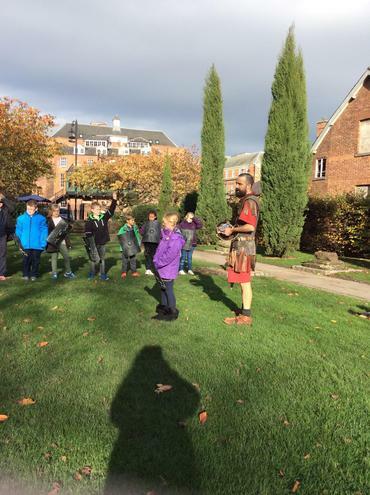 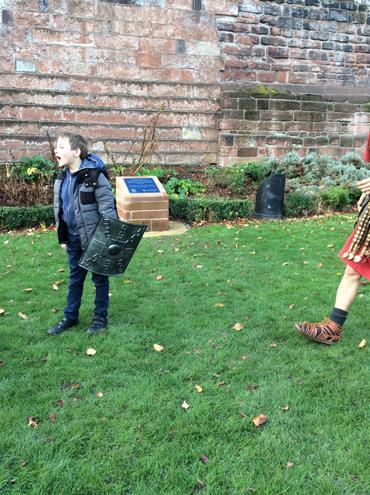 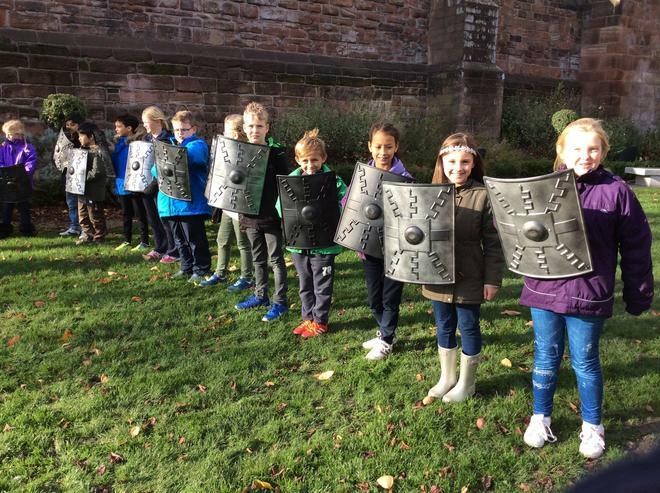 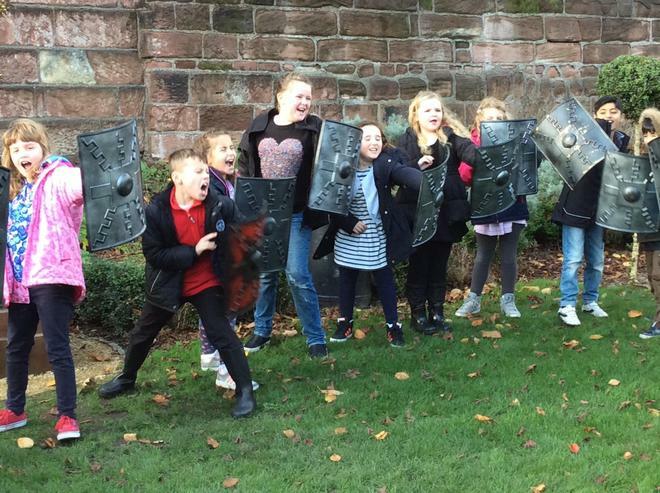 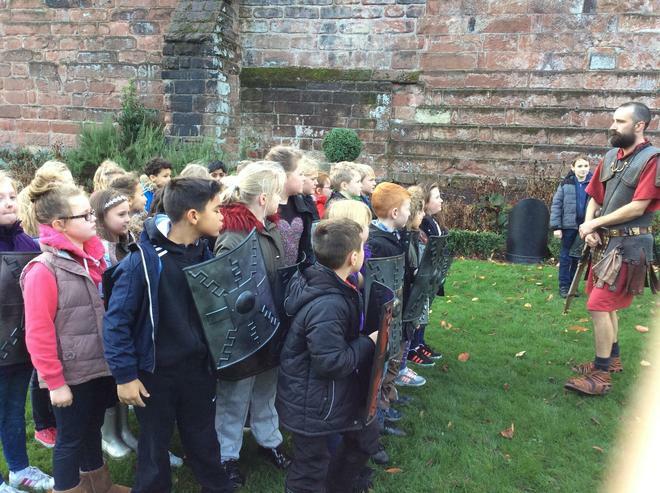 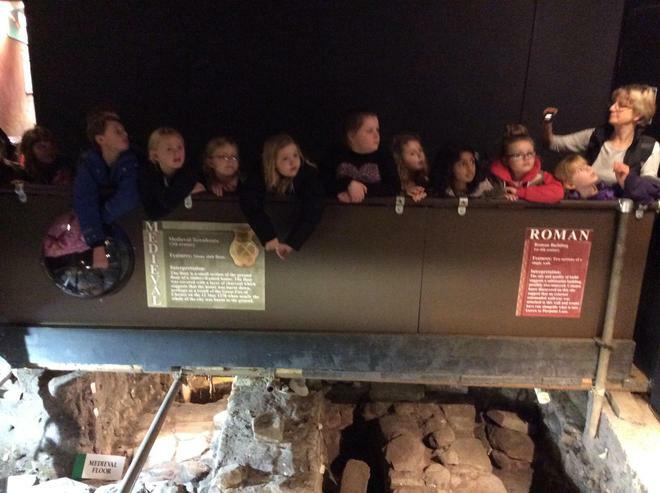 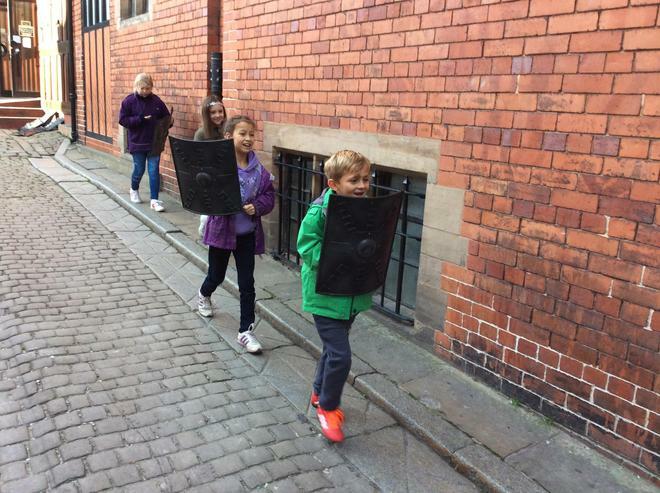 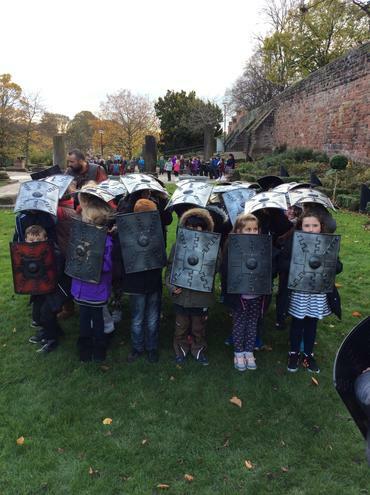 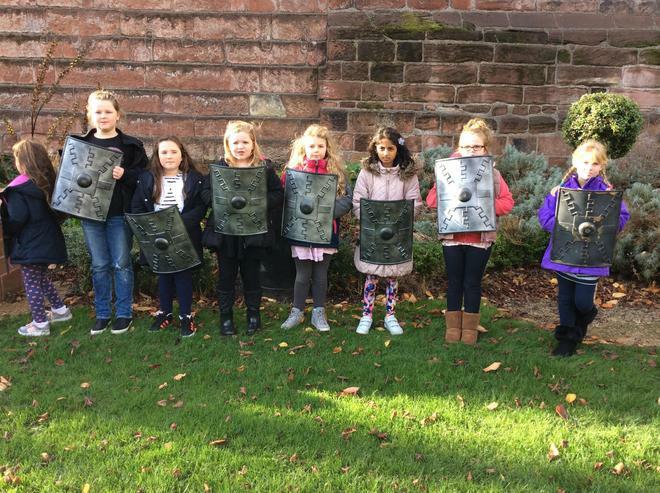 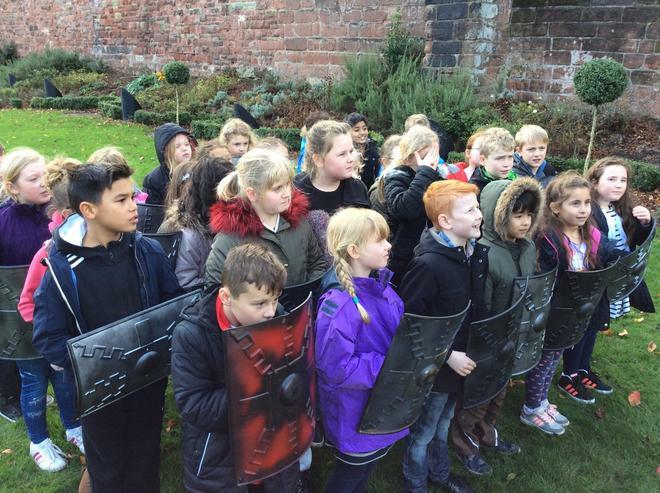 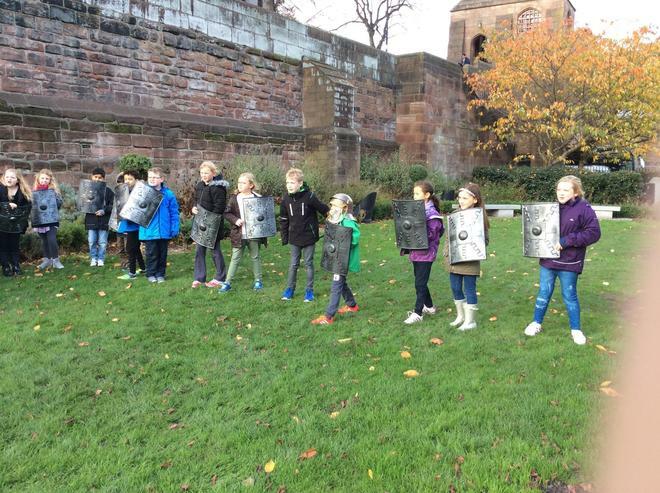 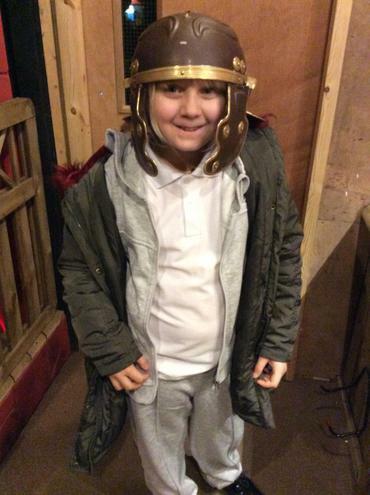 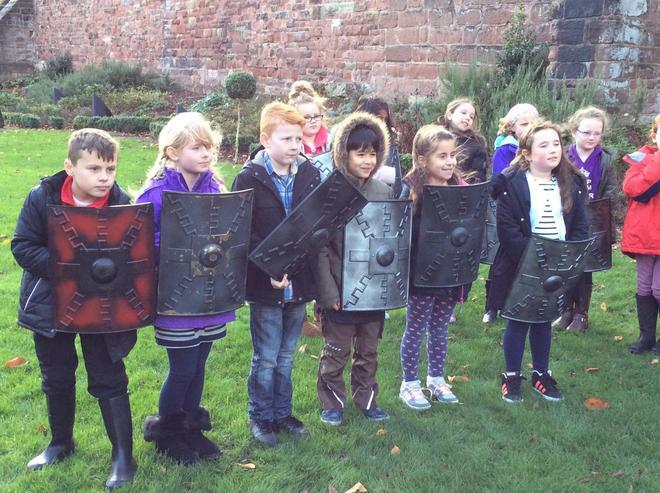 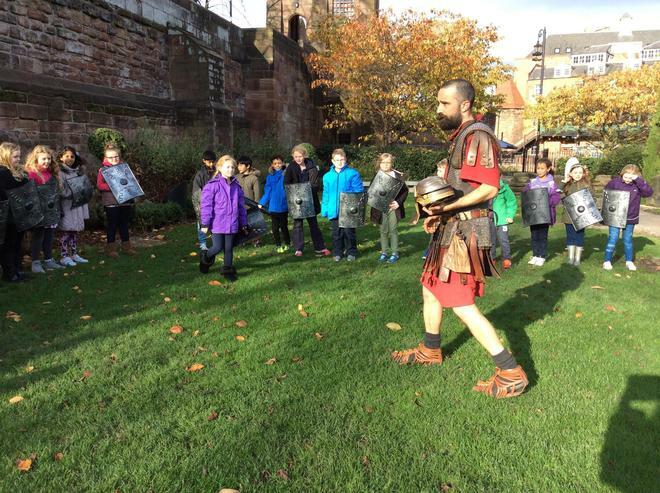 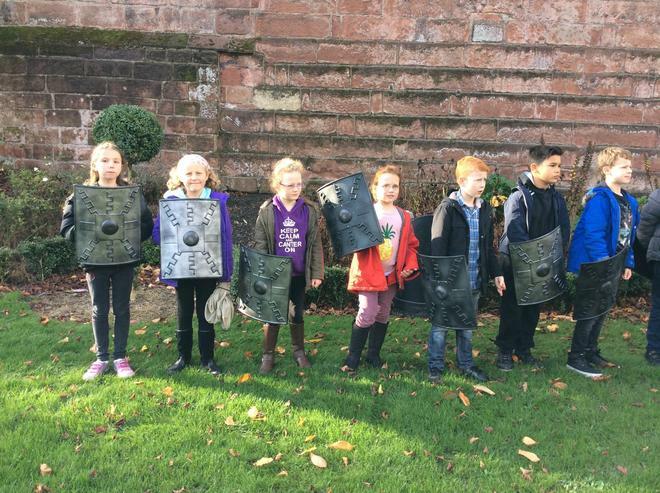 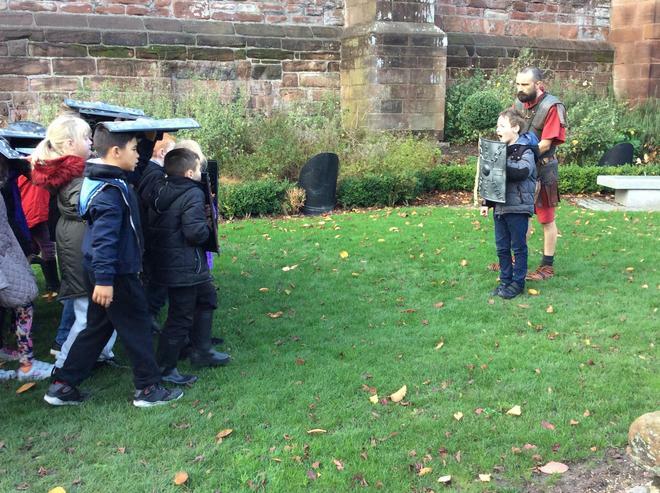 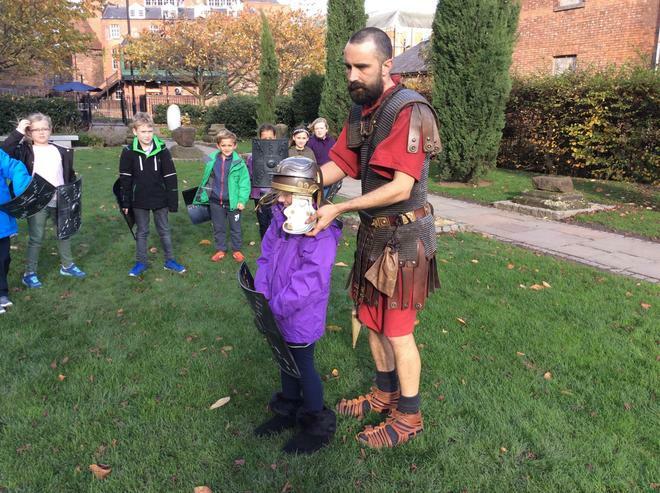 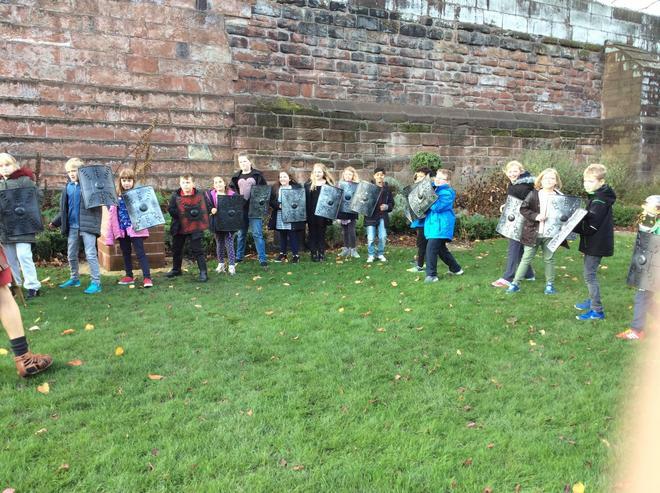 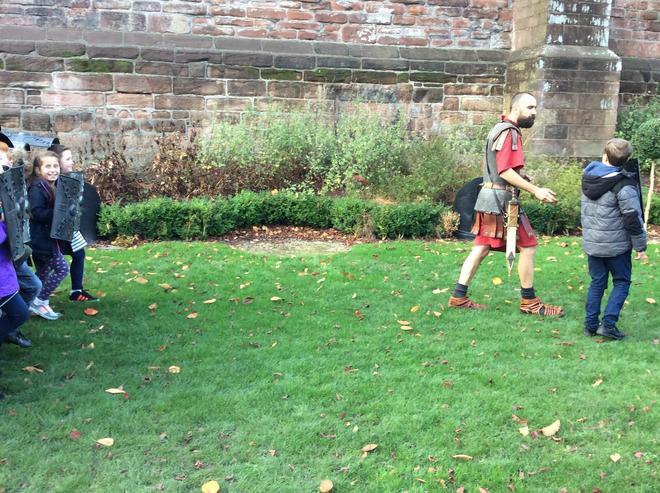 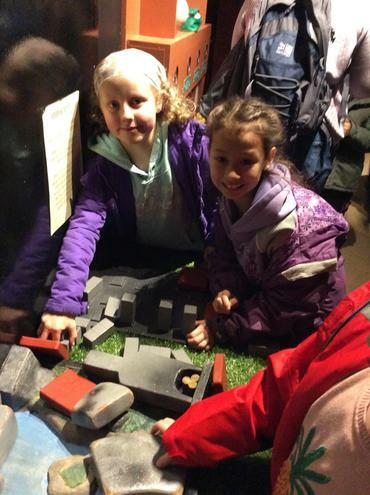 Year 4 have had an amazing time exploring the Roman city of Chester. 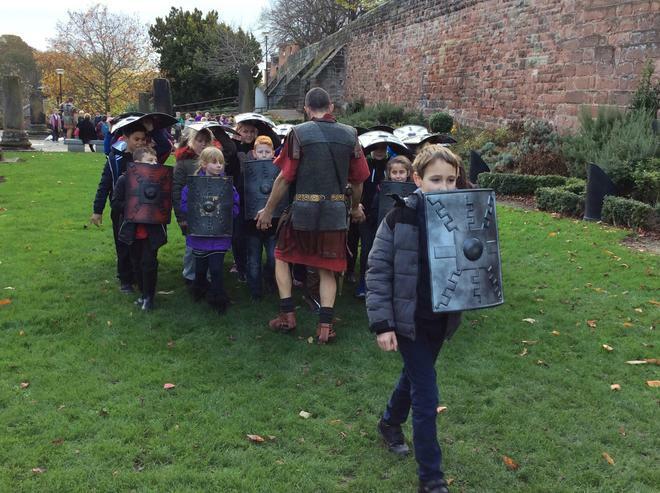 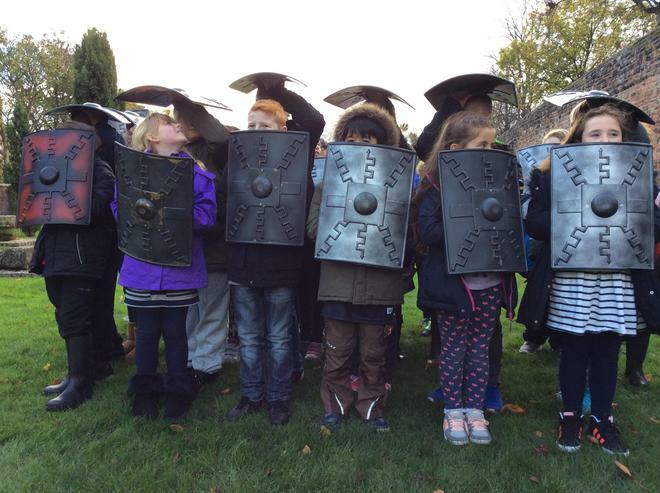 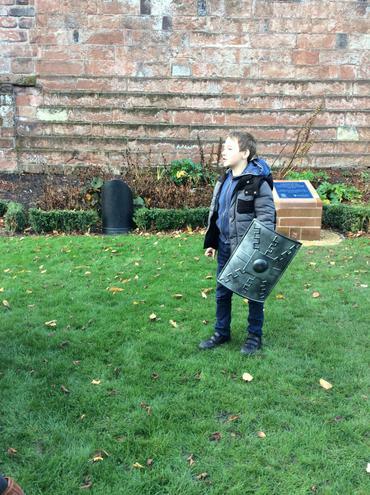 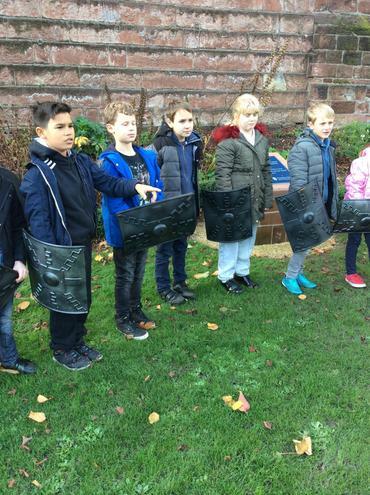 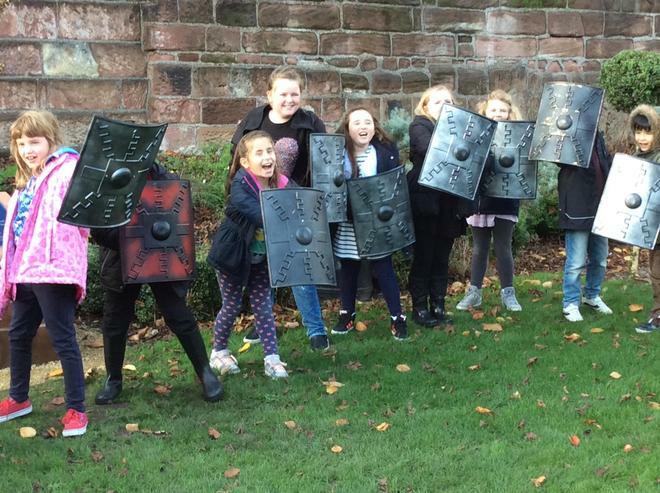 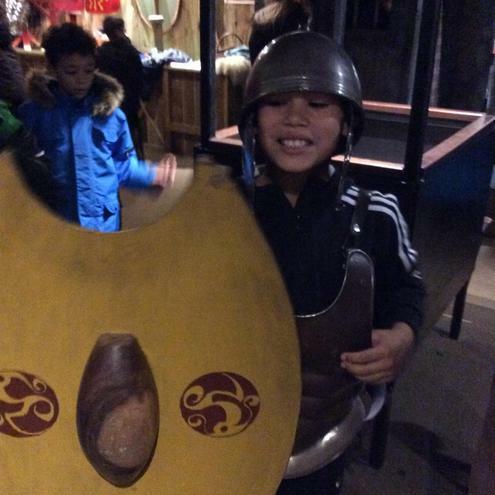 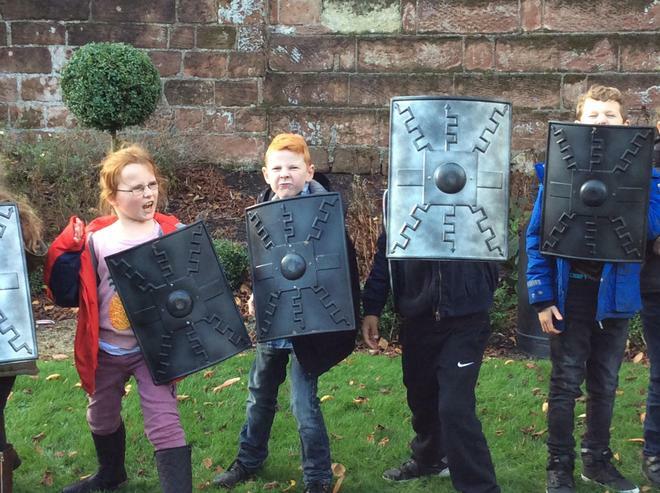 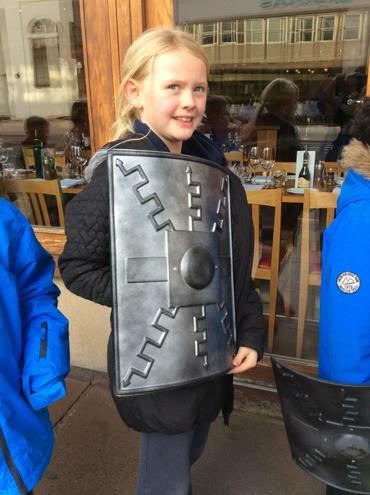 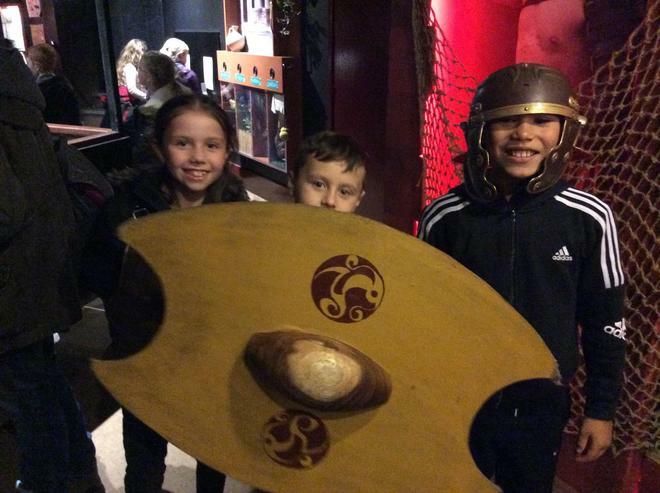 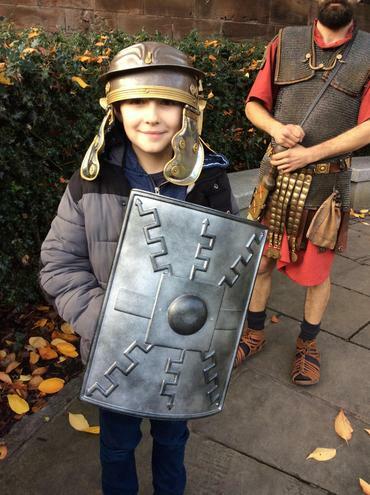 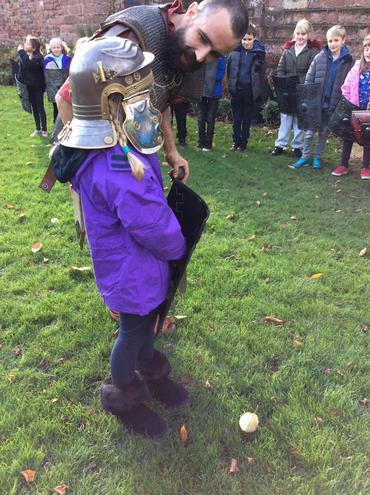 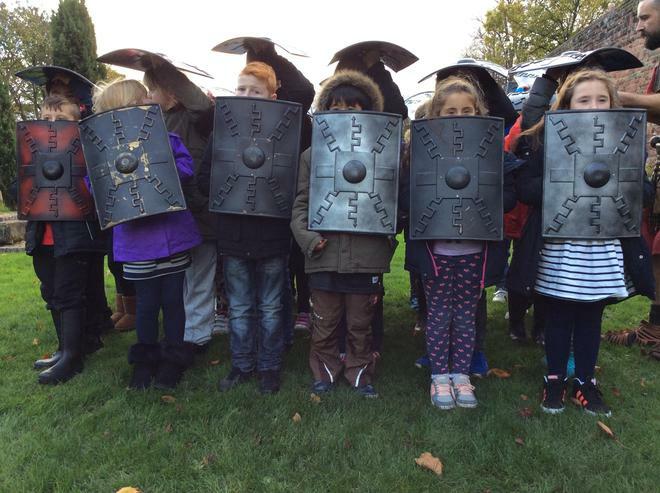 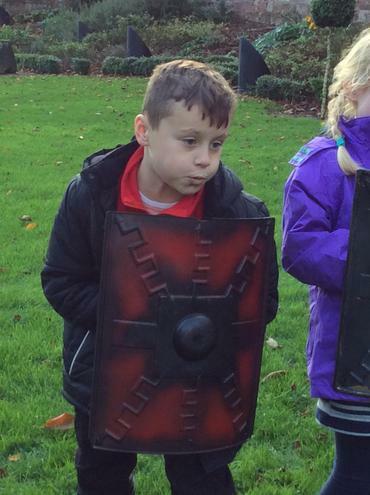 The children were welcomed by a Roman soldier and were given shields and told to march through the city. 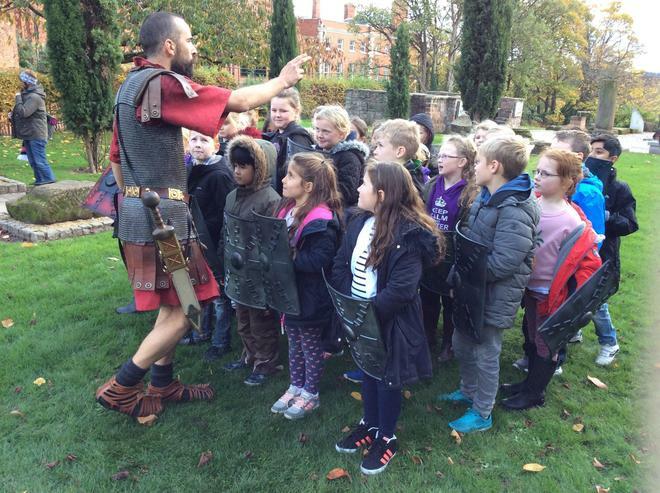 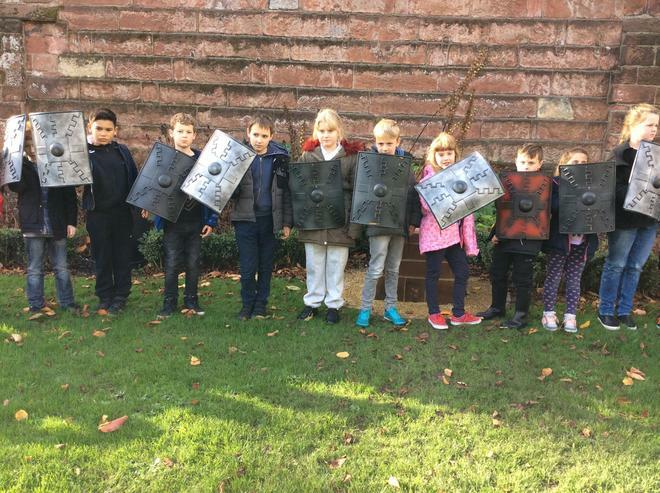 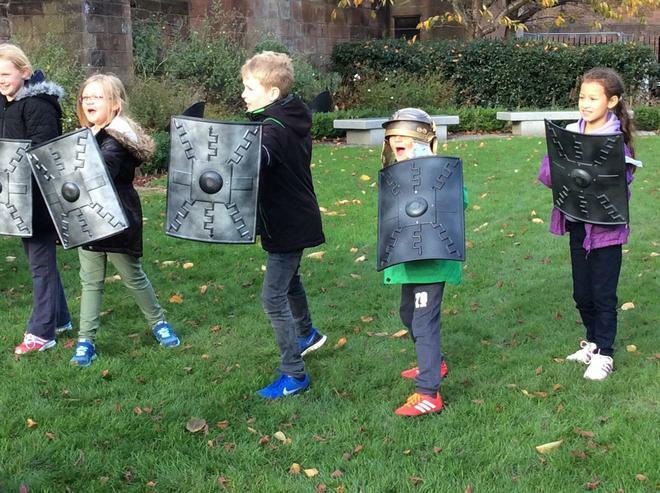 In the heart of the city they learnt Roman legionary formations. 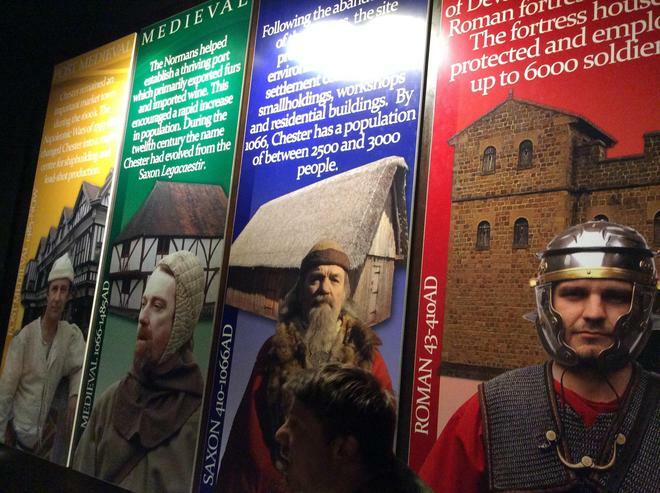 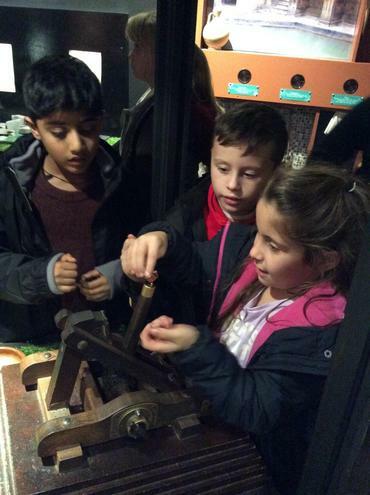 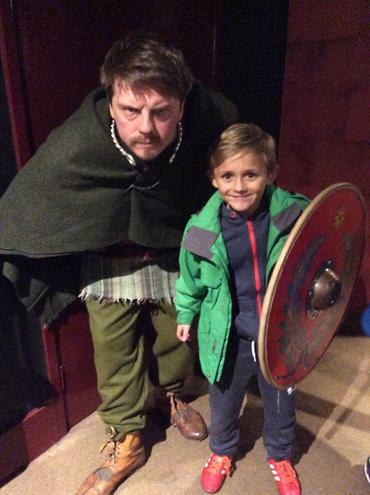 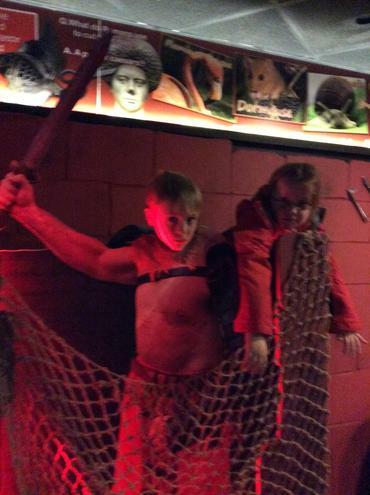 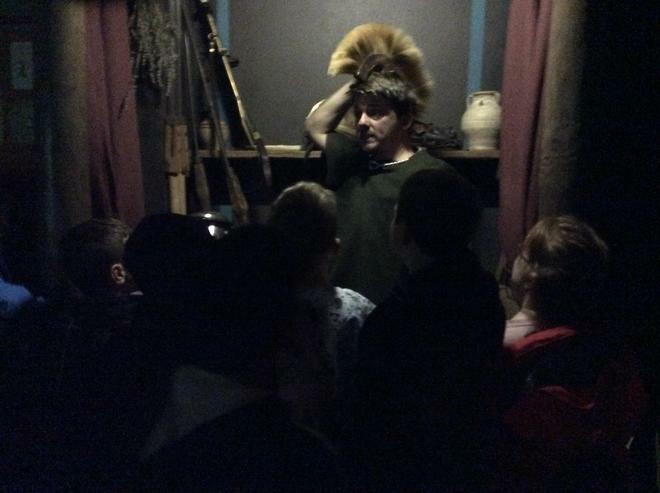 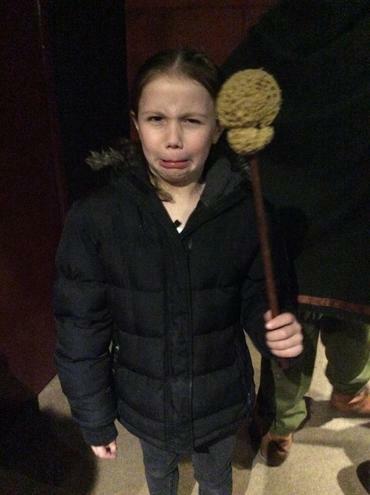 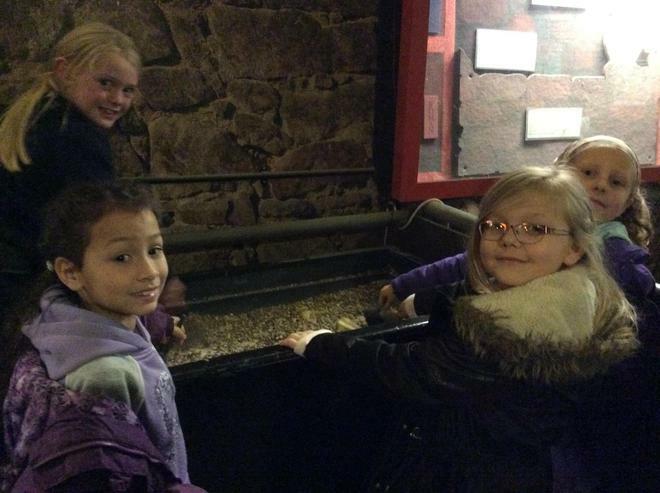 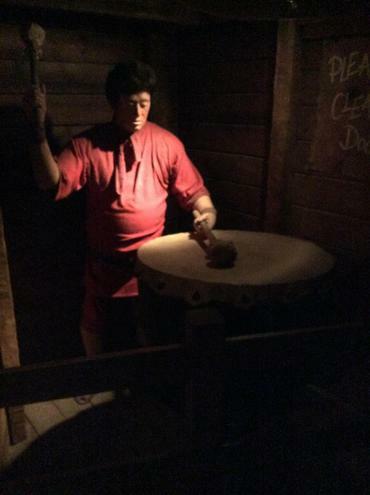 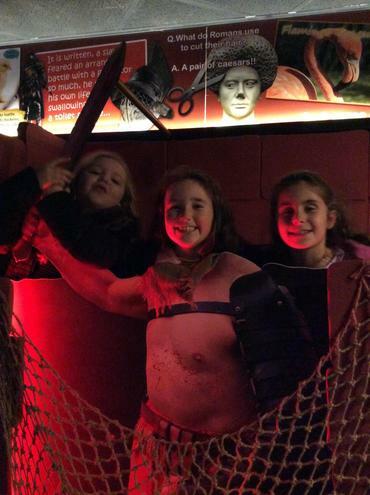 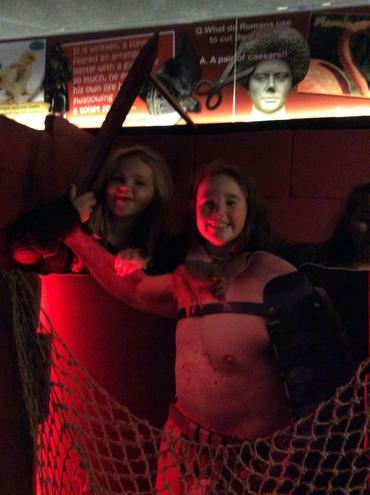 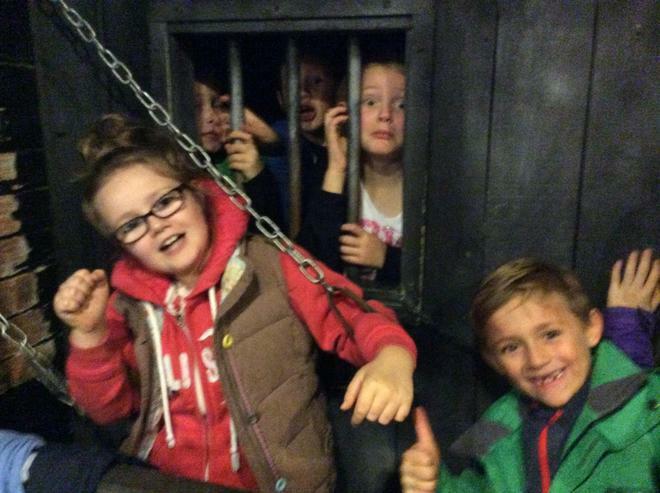 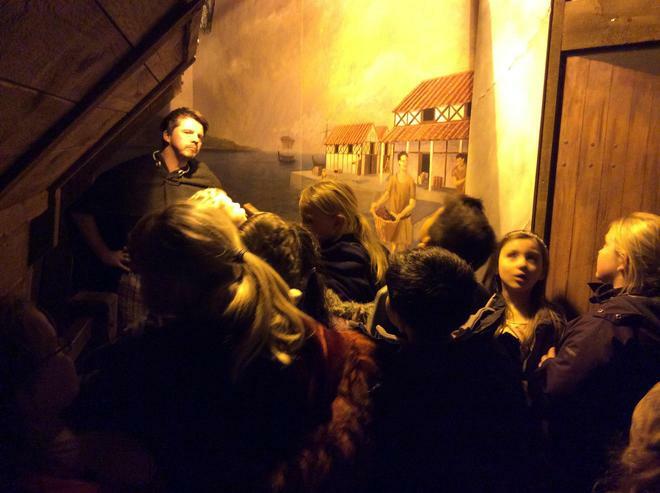 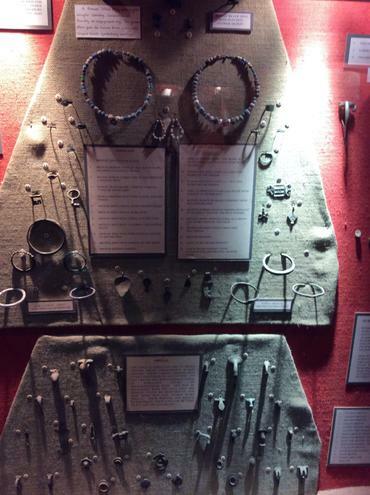 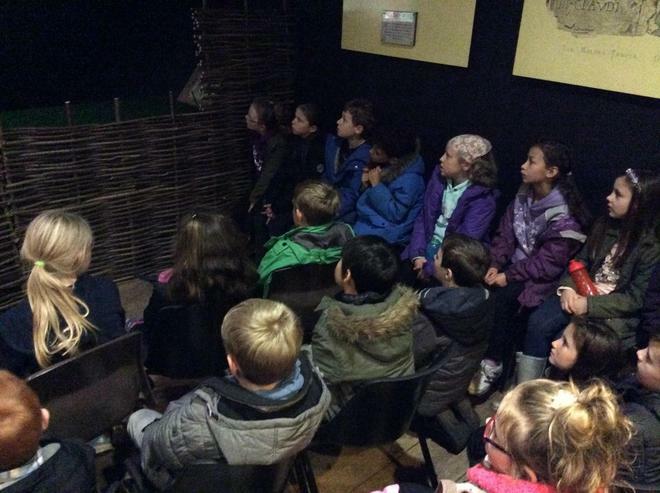 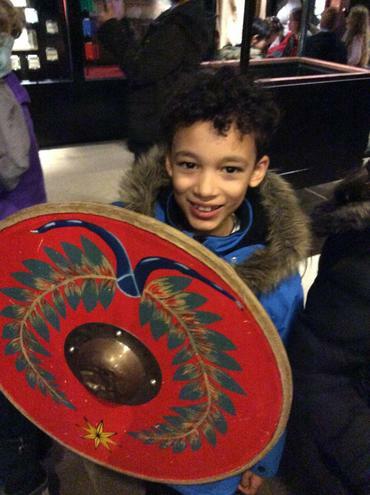 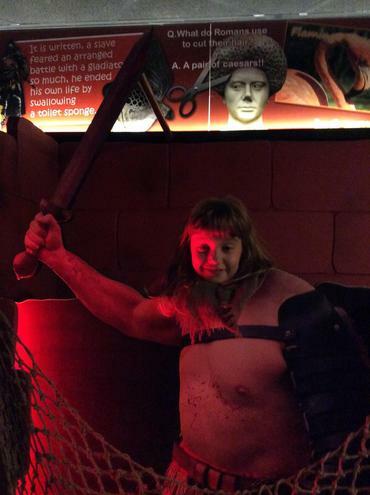 Year 4 also visited the Dewa Museum, a fantastic museum that transported the class back to Roman Britain. 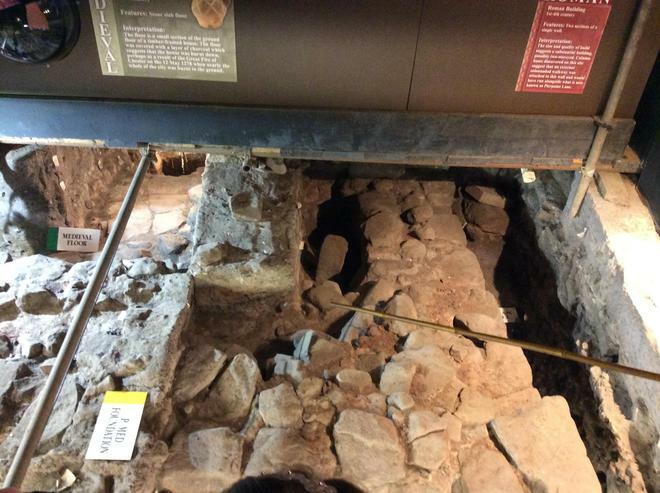 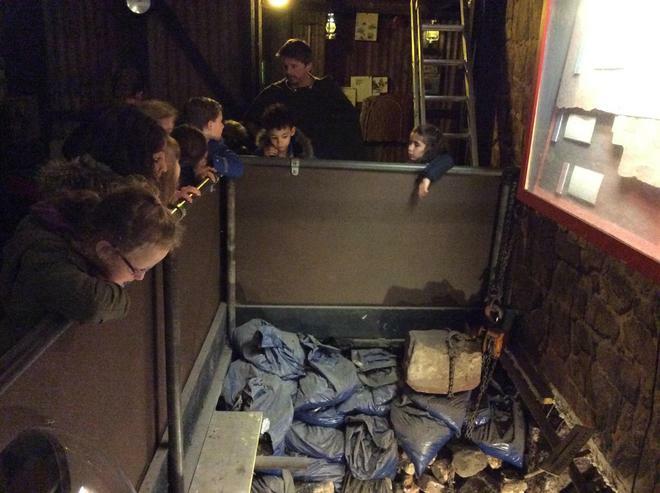 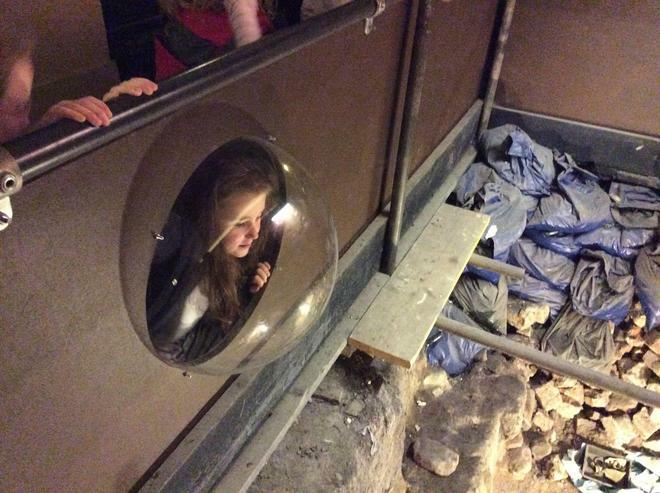 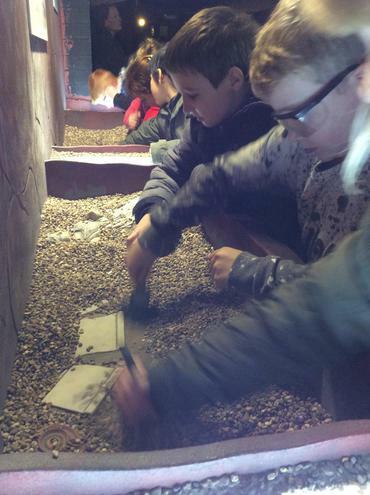 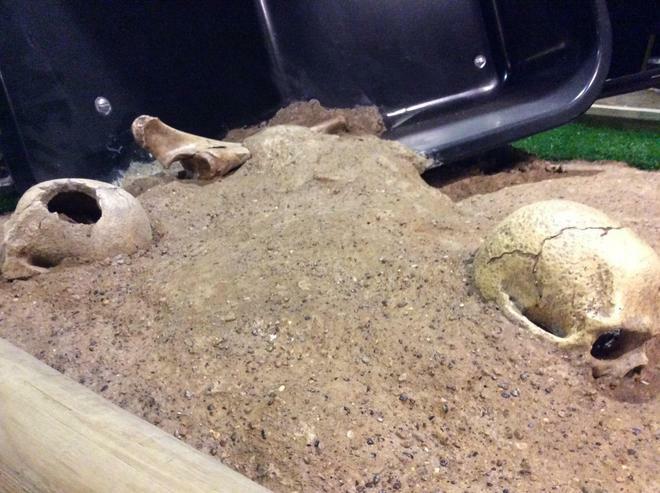 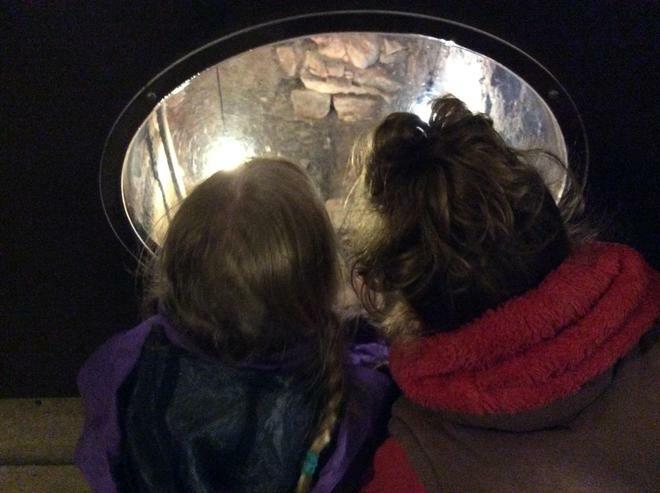 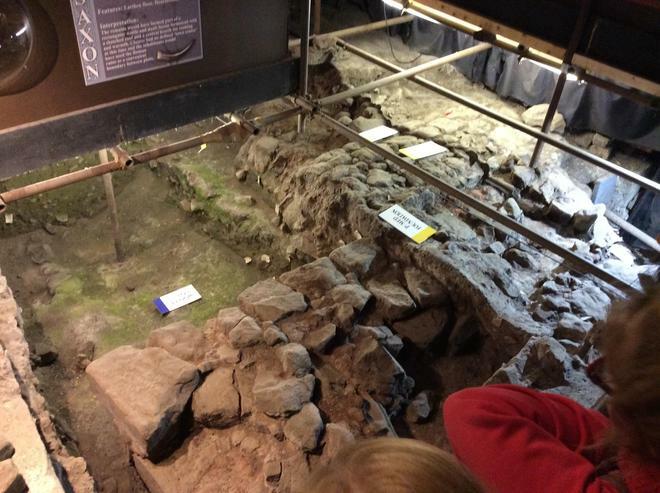 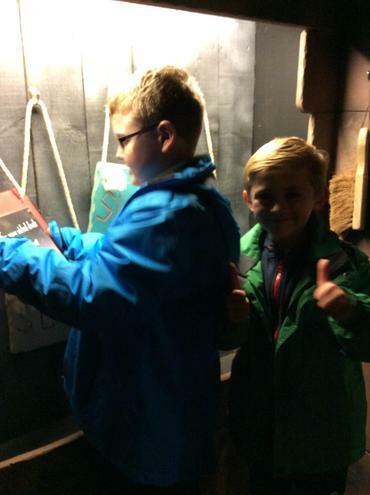 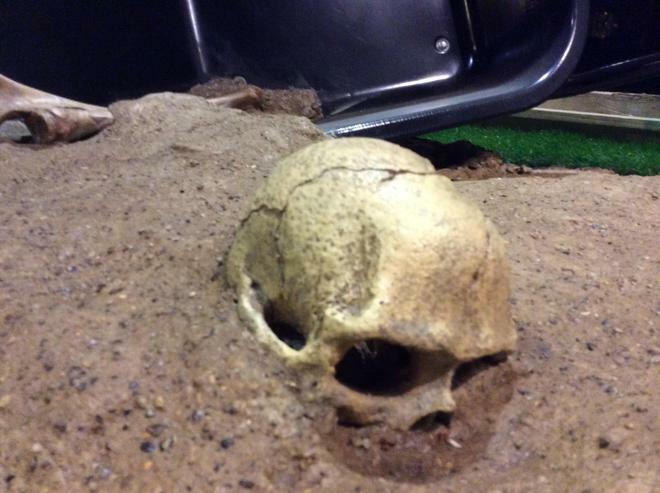 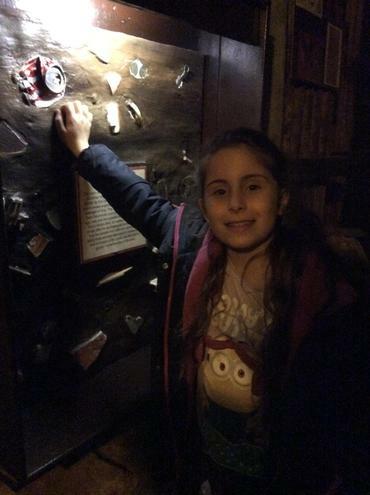 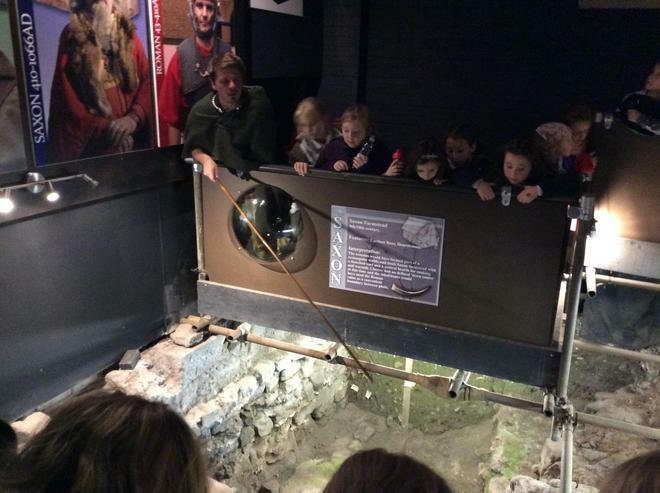 Year 4 were also privileged to see an excavation showing Roman artefacts. 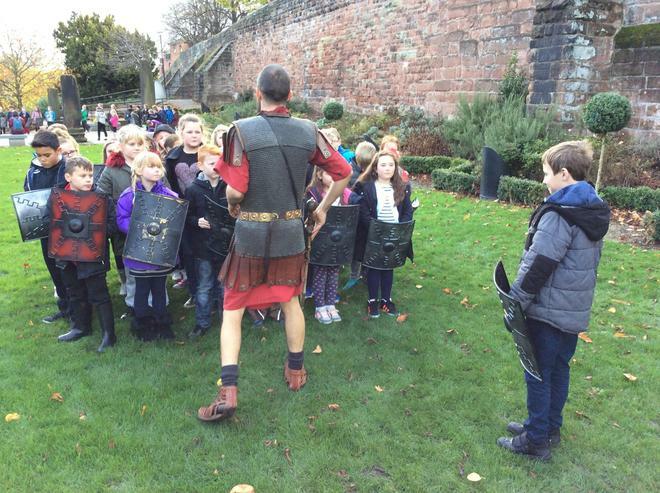 It was a truly amazing day and one that was enjoyed by all. 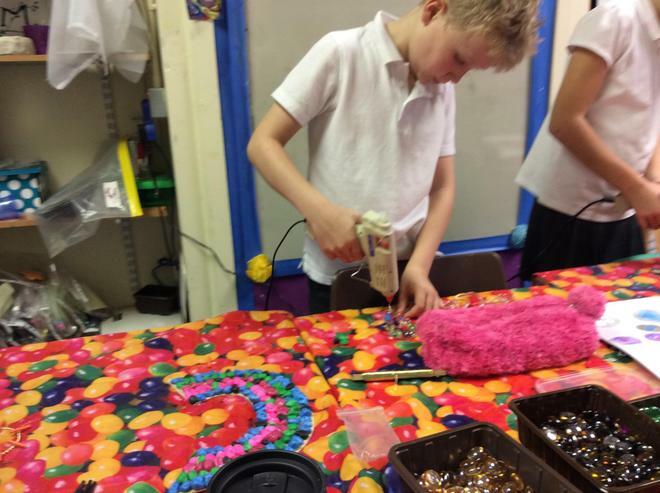 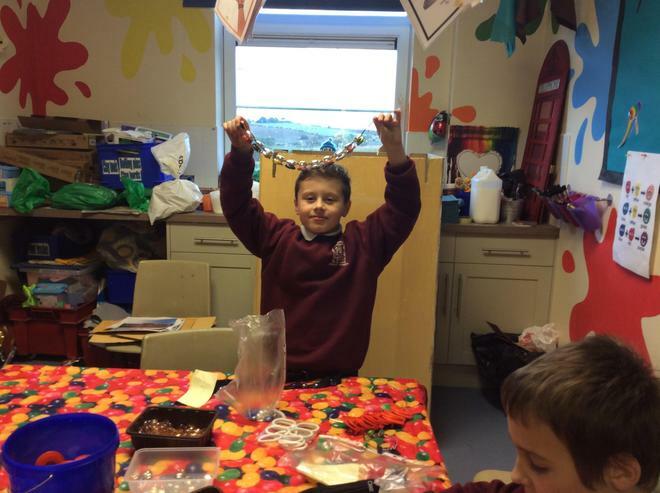 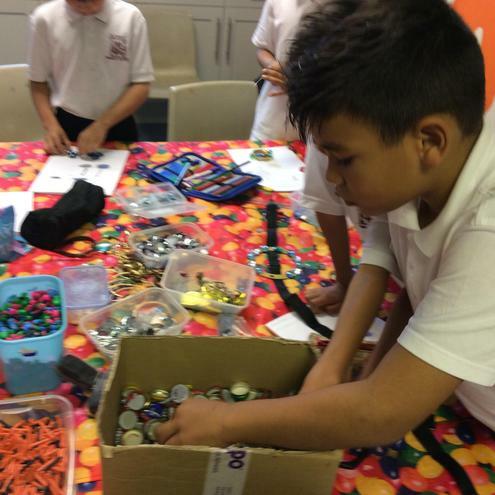 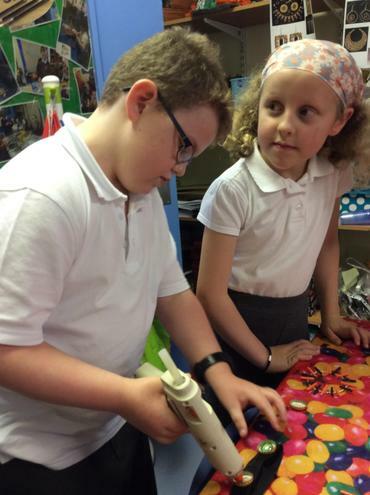 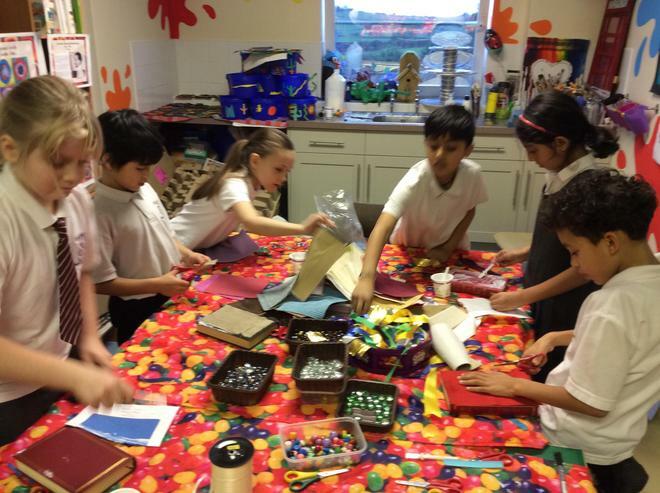 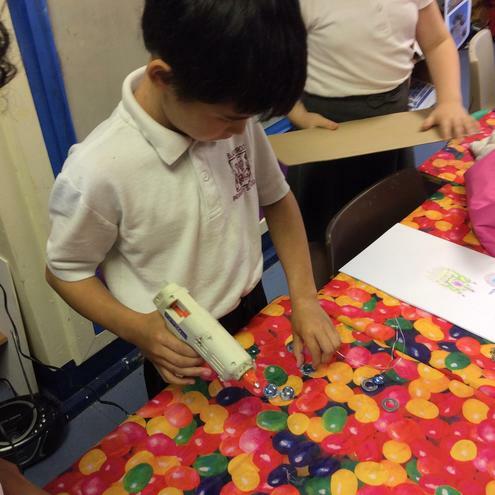 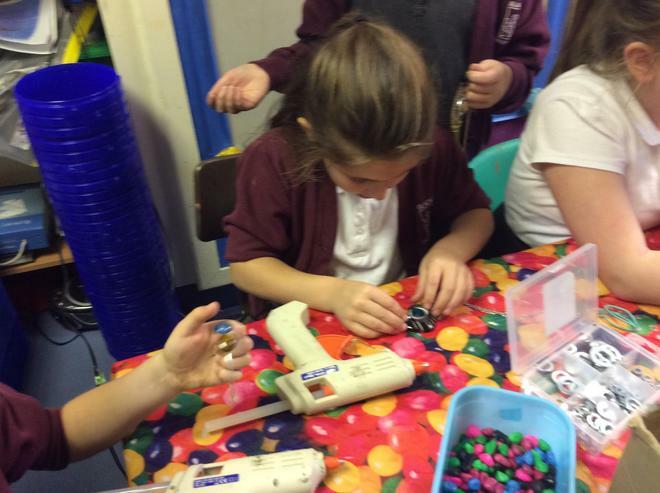 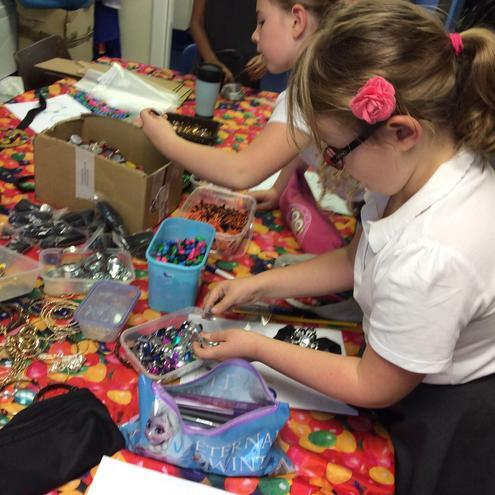 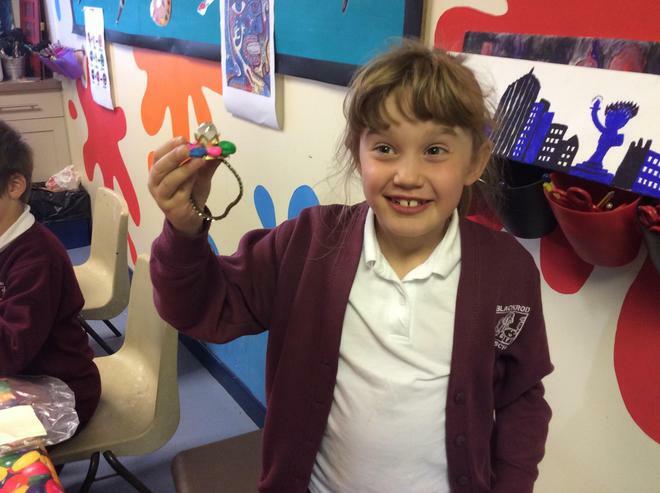 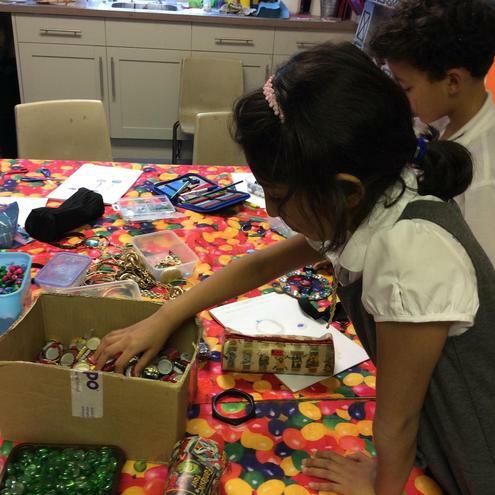 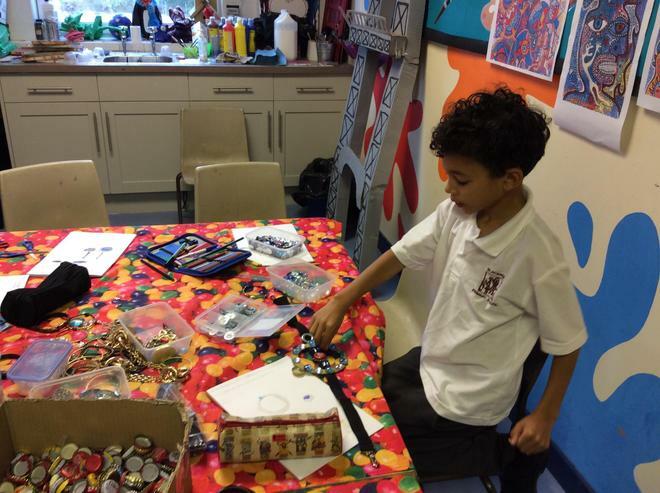 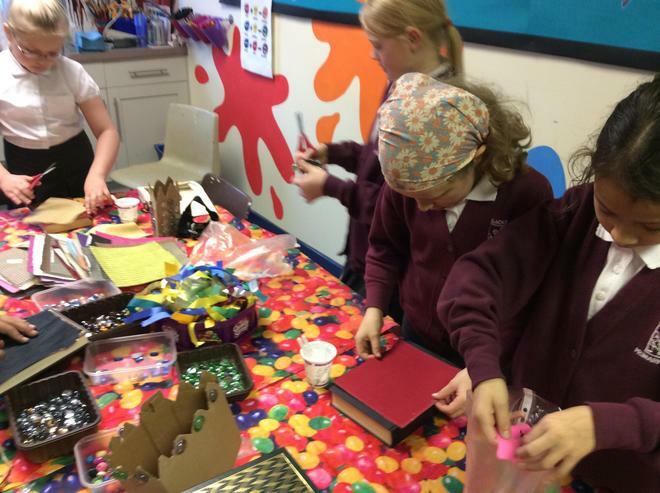 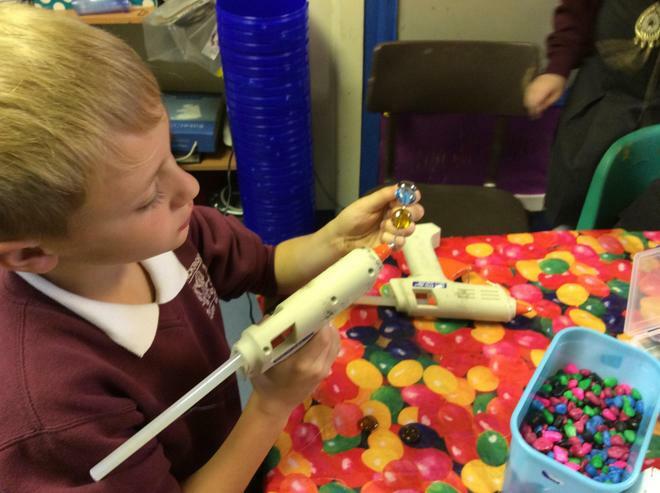 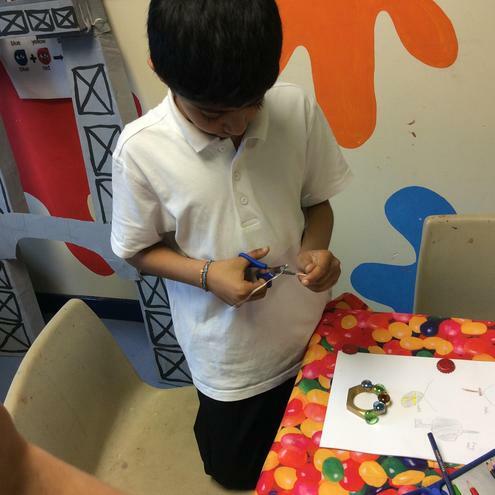 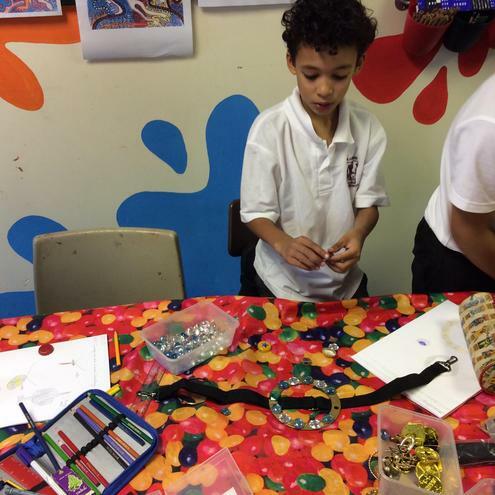 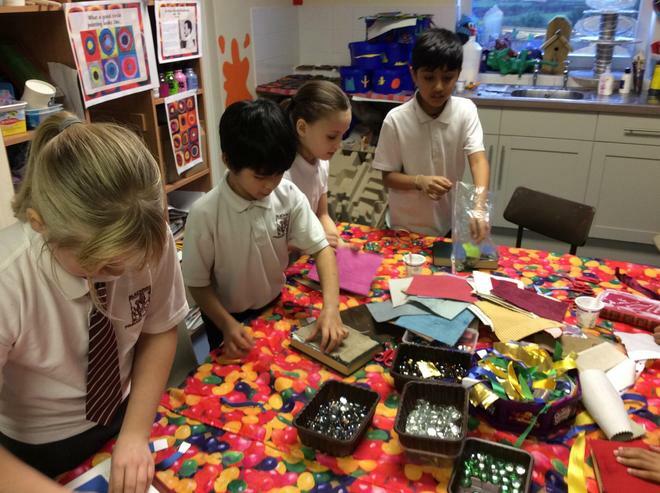 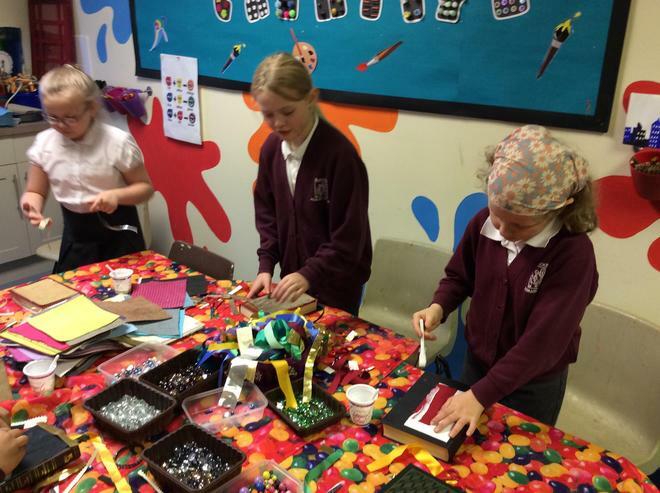 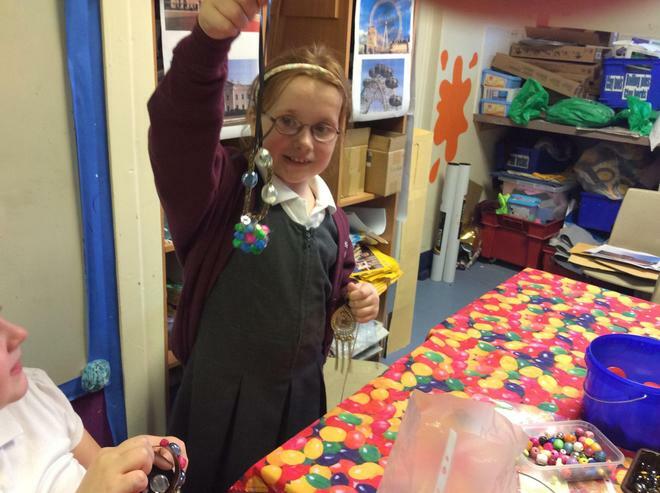 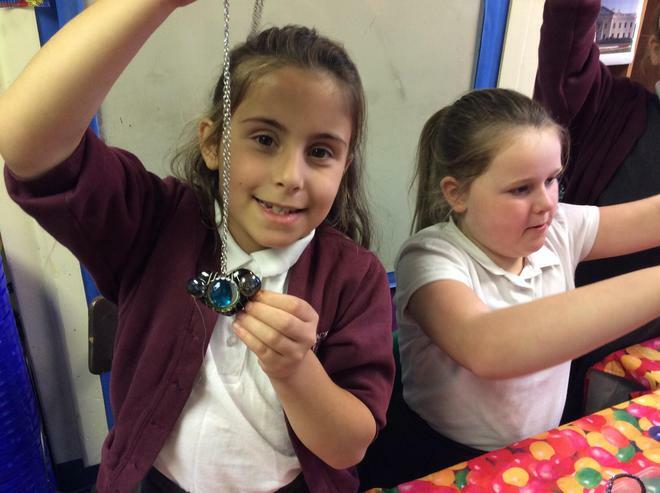 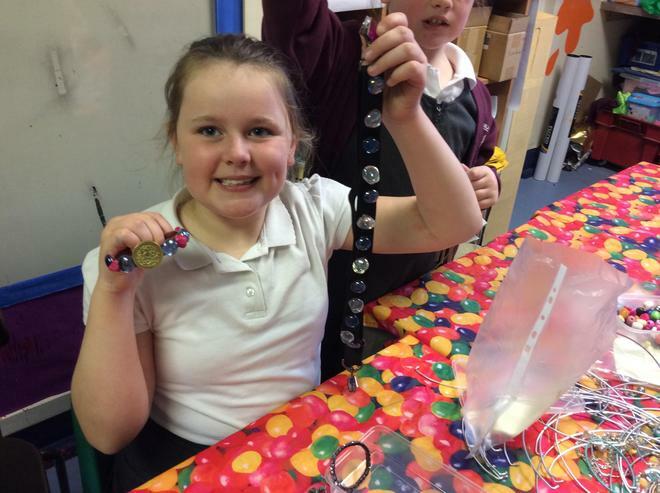 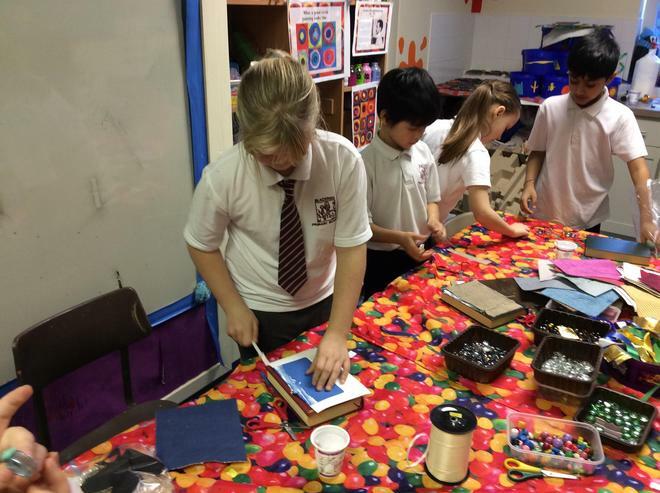 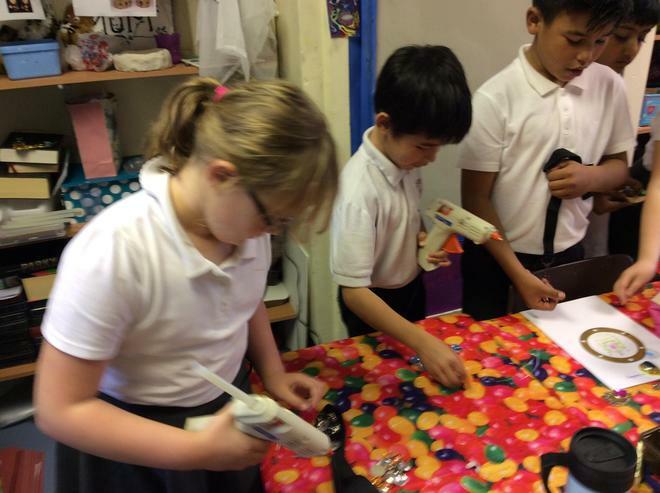 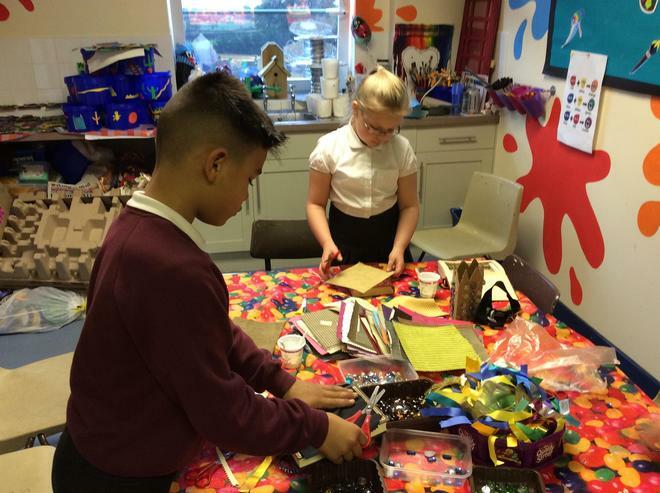 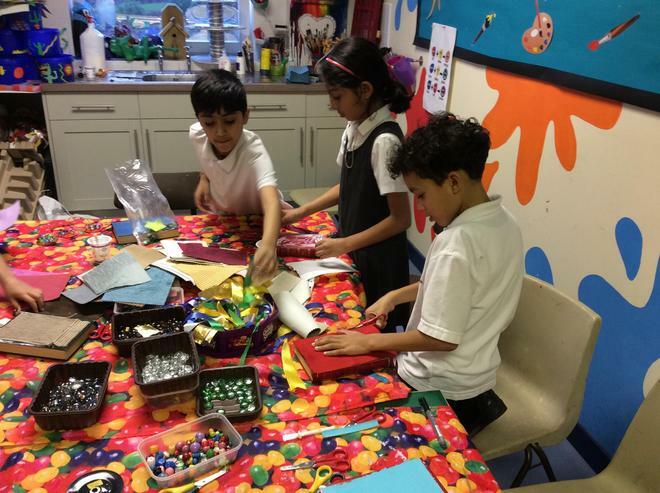 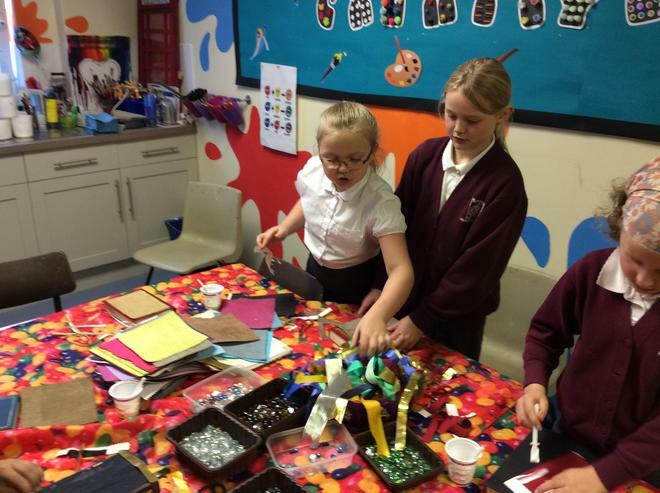 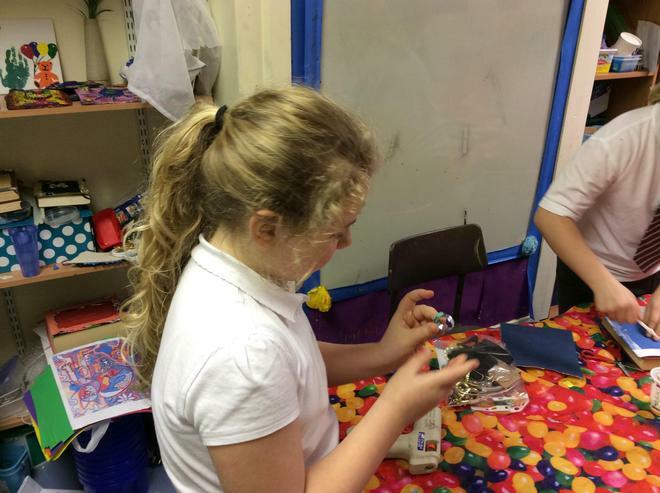 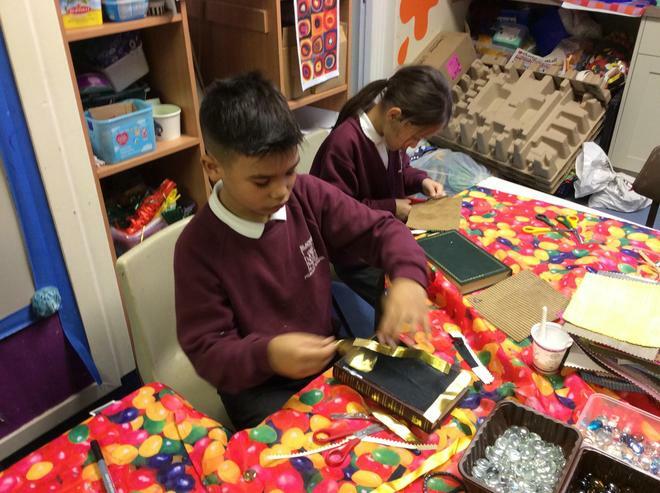 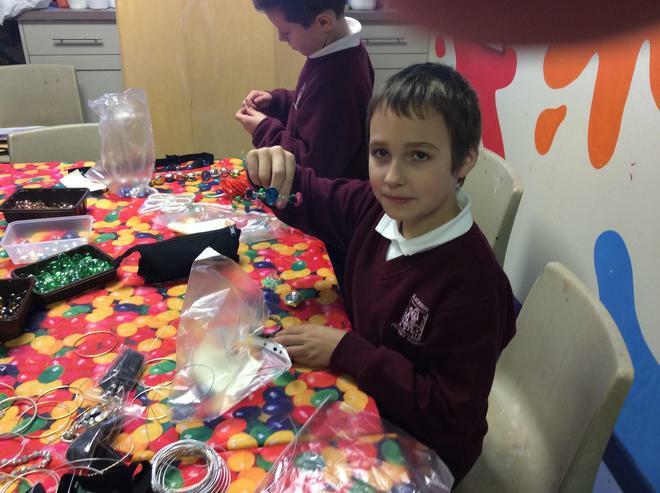 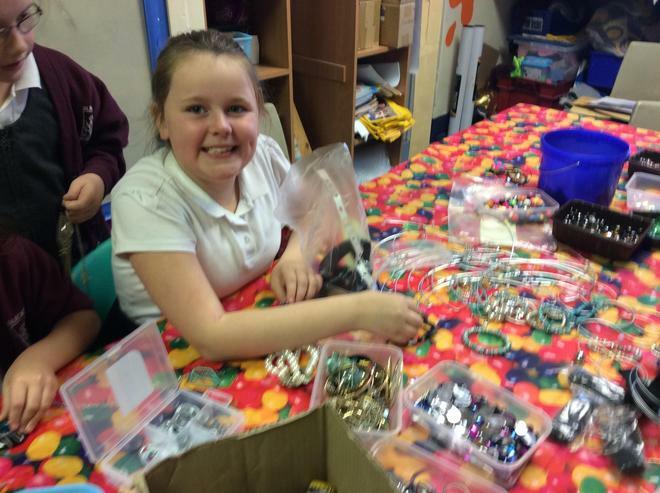 This term Year 4 have been developing their Design Technology skills to design and make Roman jewellery and some form of container to keep it safe. 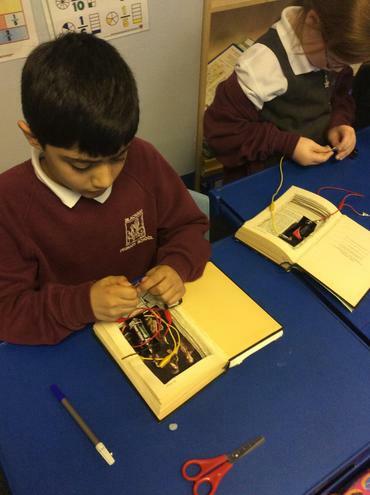 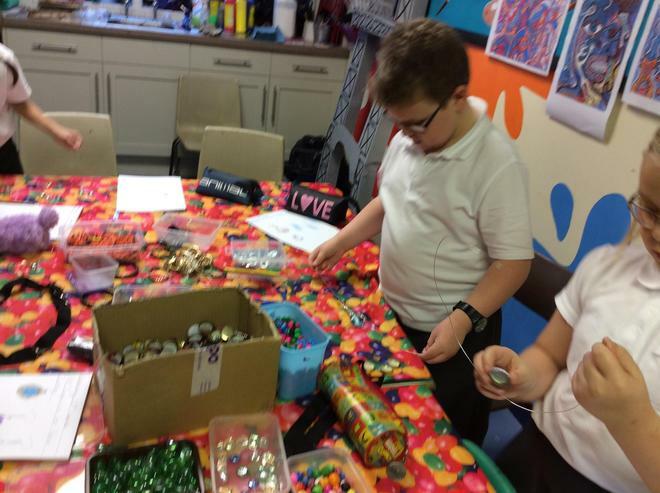 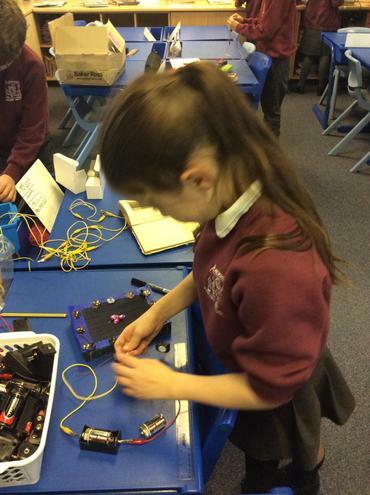 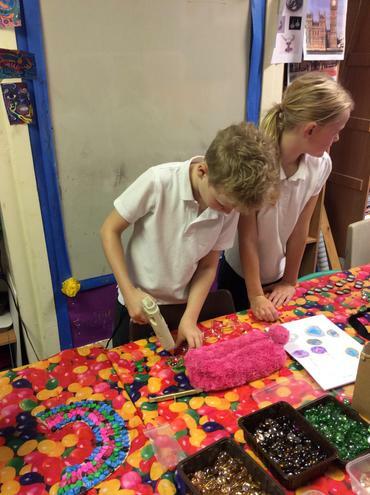 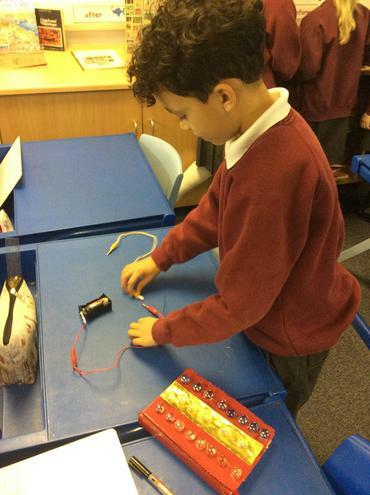 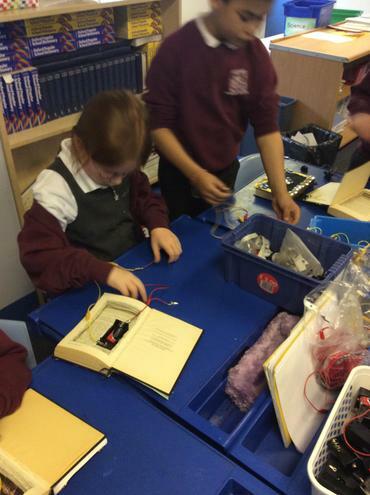 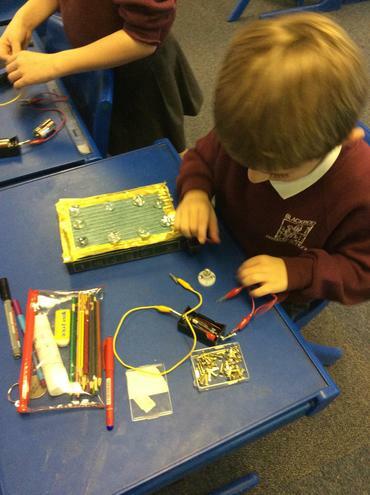 They also had to use their knowledge of circuits and switches to incorporate a buzzer, to alert them when someone was looking at their creations. 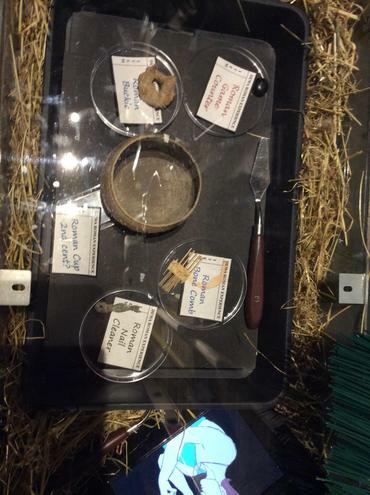 They used cut-out hard back books as a framework for their containers. 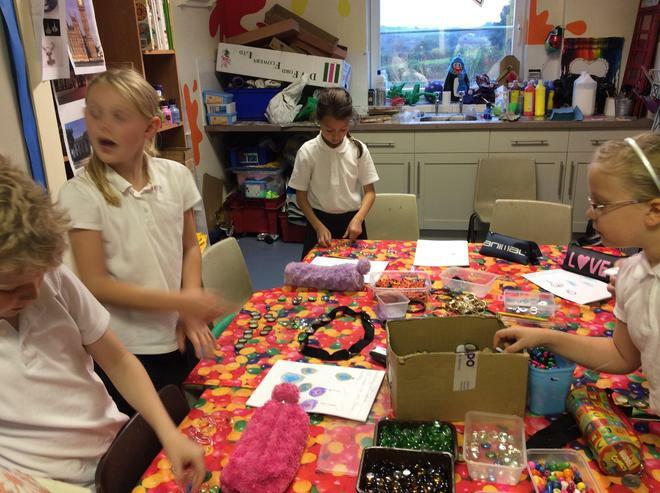 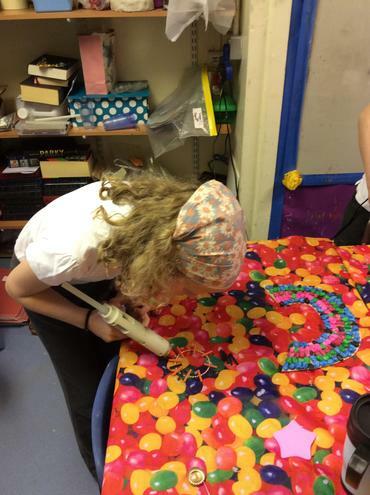 Here are some photographs showing the design process. 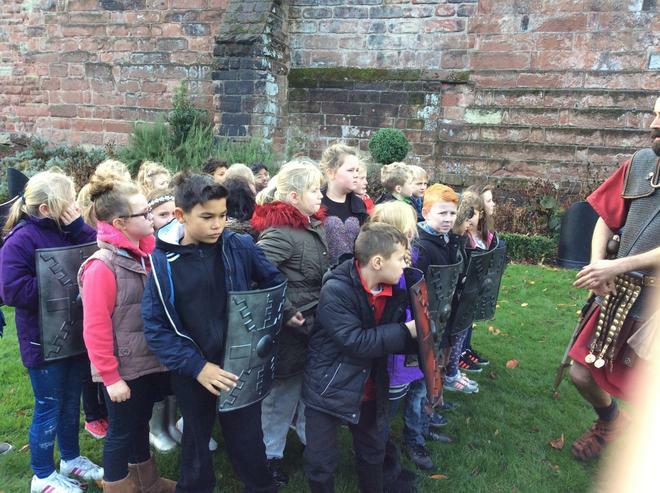 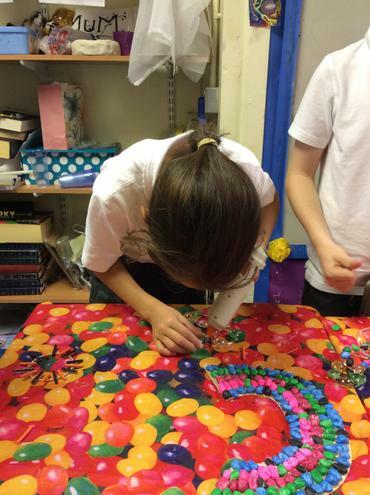 Year 4 have been investigating Queen Boudicca's role in Roman Britain. 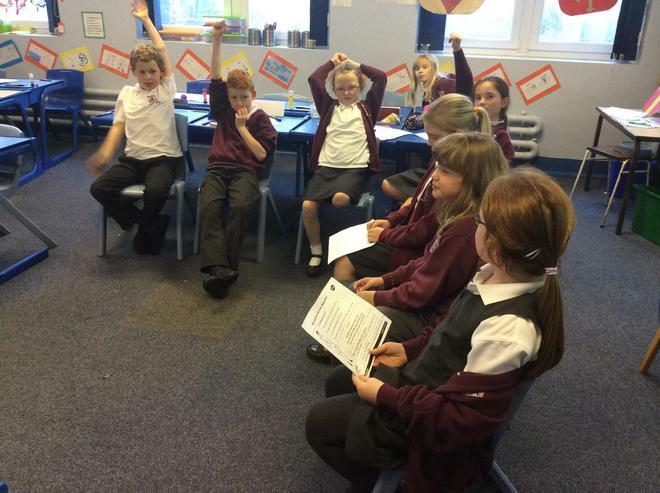 They have been hot seating different characters from the period to explore their personalities and perspectives. 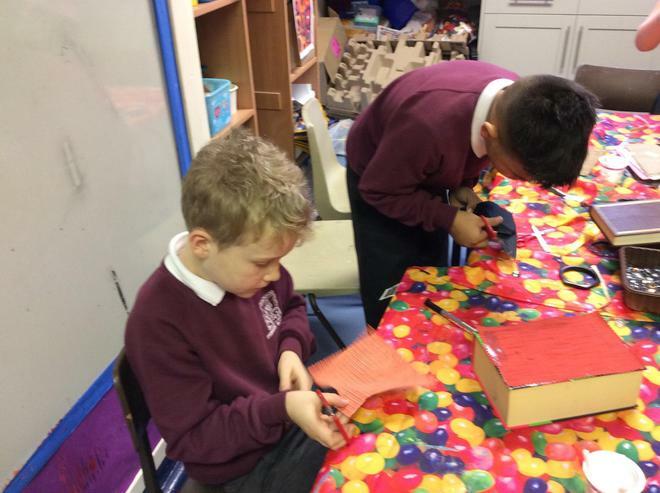 Year 4 have been finding out about the Roman number system. 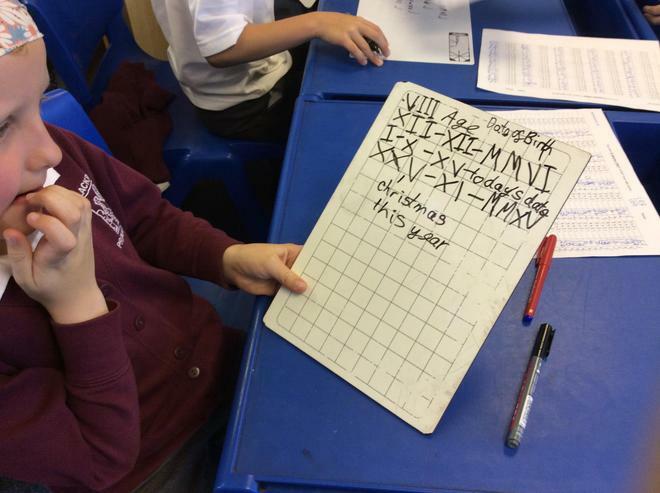 They have been writing numbers using Roman numerals and adding Roman numerals together to form new digits.